Immerse yourself in the beauty of the Chianti countryside, with Florence just 16 km away. 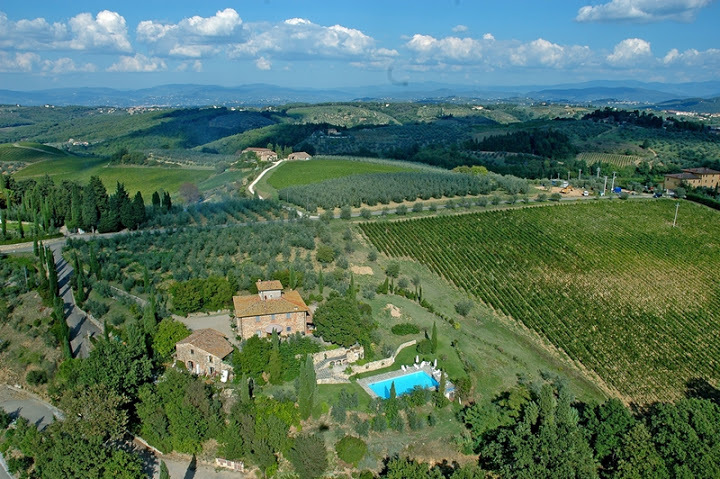 Villa Carmignani is a private villa with pool in the Chianti Classico hills, within easy distance of Florence. It sleeps 10-12 people, with 5 bedrooms with AC and 4 bathrooms. The house is surrounded on all sides by vineyards, olive groves, and cypress trees, and offers the utmost peace and tranquility. San Casciano Val di Pesa is the nearest town, just 4 km away. Here you will find a living Chianti town with bakeries, butcher shops and small food shops thriving with the local residents. A medieval hilltop town, it offers all amenities, delicious restaurants, easy parking and convenient, frequent bus service to Florence. Discover an authentic village, away from the tourist traps. Wireless unlimited internet connection available, euro 10 per week. ​Air conditioning in the 5 bedrooms.